The MBSM Programs are held in February-March, May-June, and September-October each year. These programs are 8 weeks and 2 hours each week. There is an extended day of practice after the fourth session. An intensive 5-day program is also offered in July of each year. 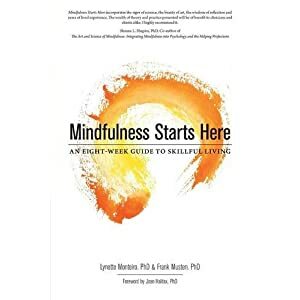 Daily formal and informal practices help establish mindfulness skills and participants in all courses are provided with handouts at each session to assist them with home practices. All meditations are available for download from the OMC blog site or on the app Insight Timer. The fees for the program are typically reimbursed by third-party, extended health care insurance as psychological services or psychological services provided under direct supervision by a registered psychologist. Various employers also have approved this program for use as personal training with fees paid by the organization; please discuss this possibility with your employer. Military members (active and VAC) require referral through their MO or case manager. RCMP members must be referred through their HSO. Sliding fee scale is available for participants who may not have access to insurance coverage. Information sessions are required before registering for any program. These are available the month before the program begins. For information about the 8-week MBSM, please contact us here. The 5-Day MBSM version is offered typically in the Summer. Read more here.